This GMC Acadia has a powerful Gas V6 3.6L/223 engine powering this Automatic transmission. WHITE FROST TRICOAT, WHEELS, 4 - 18 X 7.5 (45.7 CM X 19.1 CM) ALUMINUM (STD), TRANSMISSION, 6-SPEED AUTOMATIC. Carfax One-Owner. 13 Carfax Service Records. *Only The Best Get Recognized*IIHS Top Safety Pick with optional front crash prevention, KBB.com Brand Image Awards. 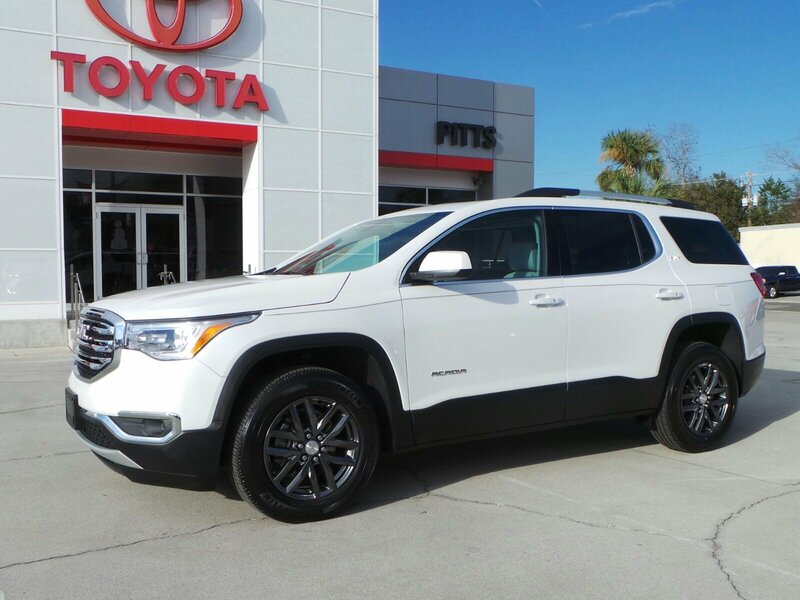 *Drive Your GMC Acadia SLT in Luxury with These Packages*TIRES, P235/65R18 ALL-SEASON, H-RATED, BLACKWALL (STD), SUNROOF, DUAL SKYSCAPE 2-PANEL POWER with tilt-sliding front and fixed rear with sunscreen, SLT-1 PREFERRED EQUIPMENT GROUP Includes Standard Equipment, SEATING, 7-PASSENGER (2-3-2 SEATING CONFIGURATION), RECLINING FRONT BUCKETS (STD), LICENSE PLATE BRACKET, FRONT, ENGINE, 3.6L V6, SIDI, DOHC with Variable Valve Timing (VVT) (310 hp [231.1 kW] @ 6600 rpm, 271 lb-ft of torque @ 5000 rpm [365.9 N-m]), COOLING SYSTEM, HEAVY-DUTY, COCOA/ LIGHT ASH GRAY, SEAT TRIM, PERFORATED LEATHER-APPOINTED, AXLE, 3.16 RATIO, AUDIO SYSTEM, 8 DIAGONAL COLOR TOUCH SCREEN NAVIGATION WITH INTELLILINK, AM/FM/SIRIUSXM USB ports, auxiliary jack, Bluetooth streaming audio for music and most phones, advanced phone integration featuring Apple CarPlay, Android Auto and voice-activated technology for radio and phone, ALTERNATOR, 170 AMPS, Wipers, front intermittent with washers, Wiper, rear intermittent with washer. *Feel Confident About Your Choice *According to Carfax's history report: Carfax One-Owner Vehicle, No Damage Reported, No Accidents Reported, 13 Service Records. 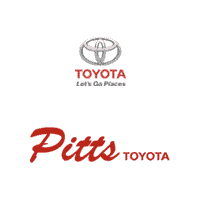 *Visit Us Today *You've earned this- stop by Pitts Toyota located at 210 N Jefferson St, Dublin, GA 31021 to make this car yours today!